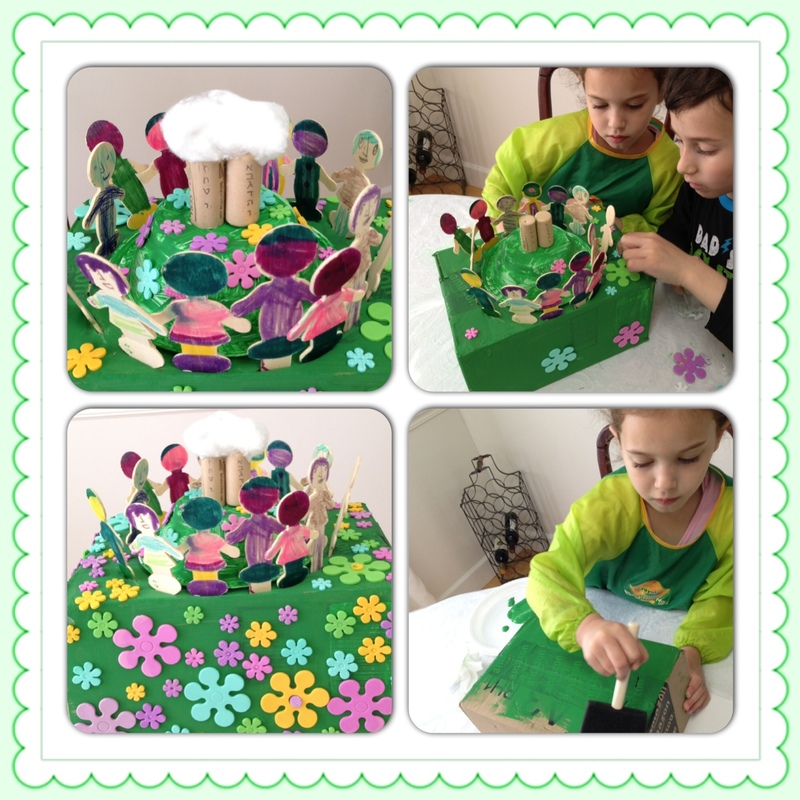 Children will love making this beautiful and fun Har Sinai craft by Morah Shira! This project combines coloring, cutting and sticking – the tried and true favorites of small children everywhere! - flower confetti (but you could draw flowers, use stickers etc – whatever your craft stash will allow!) to decorate Mt Sinai. -color in green the box and the plastic/ paper bowl from all sides. -glue the plastic bowl to the center of the box. -color/draw on the wooden people faces. -using utility knife cut holes around the bowl that you can stick the people inside. -Glue 2 corks to each other. -you can add א-י with black marker/pen-for the Ten Commandments. -decorate with flowers,all over the sinai mountain. Have fun and chag Sameach!